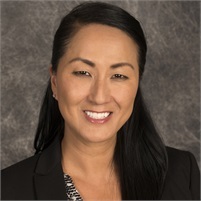 Helen Taylor | Georgetown Financial Group, Inc.
Helen has also just joined GFG. She has more than 20 years of experience in the financial services industry, primarily focused on marketing communications and relationship management. Most recently, she was Marketing Manager with the MetLife Broker/Dealer Group where she was instrumental in developing marketing strategies and overall messaging on behalf of the BD. While at MetLife, Helen was Editor in Chief of the broker/dealer magazines and her work was recognized by IMCA, the Insurance Marketing Communications Association, with a ‘Best In Show award for client materials related to the B/D’s proprietary advisory platform. Helen is experienced in relationship management, especially with vendor firms and strategic partners, and has always been an advocate for registered representatives. Helen has a Bachelor Arts degree in English from The University of Connecticut, Storrs, CT.